2019 is recognized as the year of the 5G era and the folding screen era. 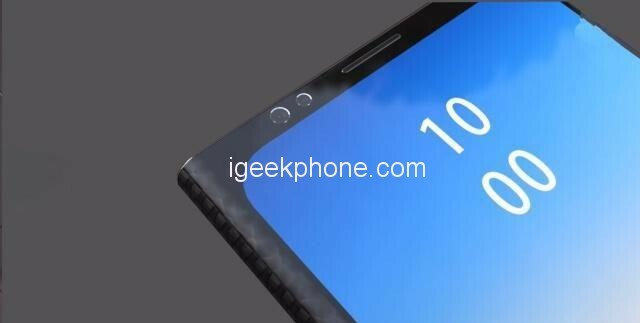 As for the folding screen, Samsung and Huawei have already released their own folding products, and at the same time, both have released their own 5G baseband. At present, Xiaomi is still looking forward to folding screen phones, and consumers are still in the new sense of this new field. 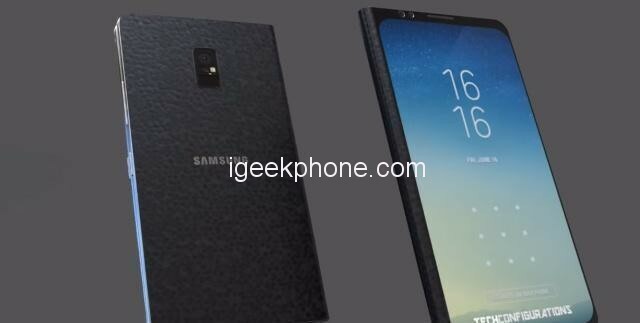 But whether the folding phone is necessary or not is still a topic to be discussed. After all, it only increases the screen and folds. The user interaction experience has not changed much, but the price is very high. But these have not affected the enthusiasm of mobile phone manufacturers for folding screens. 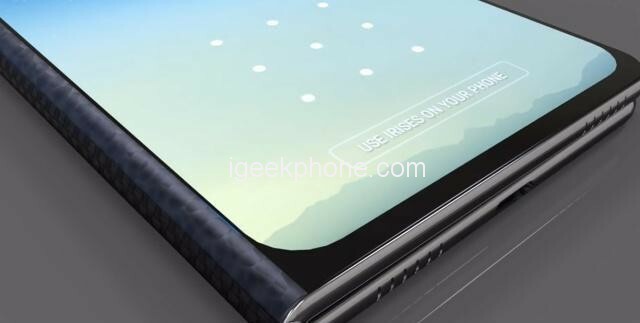 Recently, foreign media exposed a render of Samsung’s another folding phone which is obviously different from the previously released Galaxy Fold. Let’s see below and take a look at the specific information. 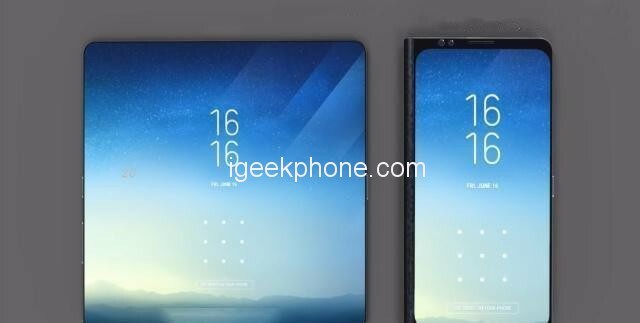 First of all, from the appearance, It uses a dual-screen design, that is, there are screens inside and outside. In the unfolded state, the internal screen is like the size of a tablet, and the ultimate comprehensive screen design is achieved, with no borders on all sides, and the screen ratio is close to 100%. In the folded state, the internal screen is completely hidden, and the external screen is like an ordinary phone. It can be seen that the front adopts a dual-camera design, which is also located on the upper border with the earpiece and the sensor. The rear of the fuselage uses a rear single camera and a conspicuous LED flash, which is surprising. But it’s worth noting that the rear camera has up to 34MP and a heart rate sensor to monitor the user’s physical condition. 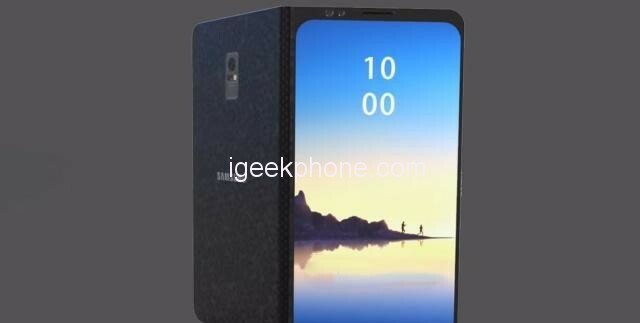 In terms of specific parameters, Samsung’s internal screen size is 8.0 inches, while the folded external screen size is 5.0 inches, the screen resolution is 2160*3840, up to 4K level; the front dual camera is 16MP + 12MP combination with Support AI beauty; unlock mode is to support in-screen fingerprint recognition and face recognition at the same time; battery, it is reported that it will use graphene battery, its capacity is 6500mAh, the endurance is very powerful. In general, this is a powerful folding flagship product with an estimated price of around $2250, which is still beyond the reach of the average consumer.